Torque is a twisting or turning force which is applied in either a clockwise or anti clockwise motion. A torque sensor is a device which is used to convert torsional mechanical inputs into electrical output signals. Torque Sensors also include Torque Transducers which are also part of our range here at Ixthus. There are different types of torque sensors: Static Torque sensors and Dynamic Torque sensors. Dynamic torque sensors can be either rotary or non-contacting. They are used to measure rotary angular measurements on a larger scale. Non contacting torque sensors provide accurate measurements at high rotational speeds using magnetic or inductive technology, because they are non-contacting and therefore do not use wearing parts; these types of torque sensors offer a long and maintenance free life. Static torque sensors are used in applications with less movement than dynamic torque sensors where angular motion is limited and in-line torque measurements are required. Typical applications using static torque sensors include fatigue testing and other industrial applications. Static Torque Sensors have non-moving parts enabling them to offer long term reliability. What is a Torque Sensor used for? 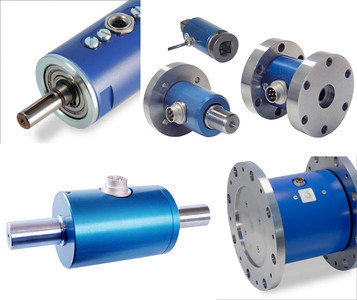 We can offer Dynamic and Static Torque Sensors suitable for forces in either a clockwise or anticlockwise rotation. Our torque sensors are from our suppliers NCTE and Buster. We have a range of different sizes available, take a look at the links below. Title:What is a Torque Sensor?